are today’s fashion statement and much, much more. Sandra Price is the owner and manager of White Lotus Body Arts in Ventura. Her life has taken her from Washington, DC to Iceland to California and points in between. She is a graduate of Ventura College. Portfolio in hand she applied to and was accepted for study at the Pasadena College of Art and Design, with emphasis on illustration. Her professional career included work on graphic novels and Emmy Award-winning animated programs. Sandra has taught conceptual design at Associates of Arts. 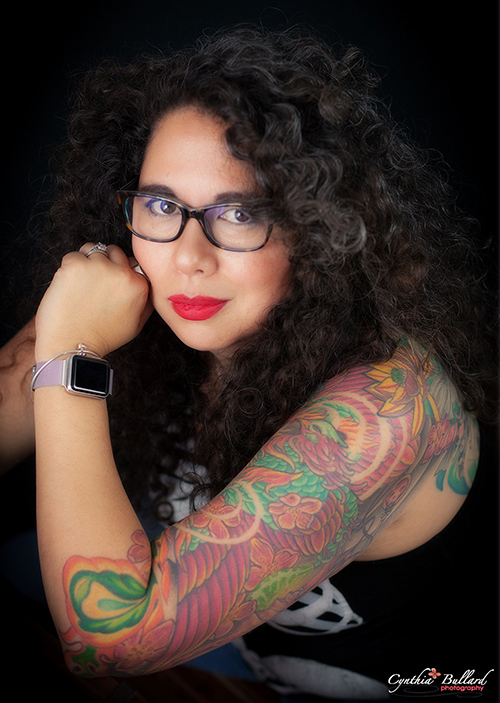 Becoming disenchanted with the entertainment industry, Sandra returned to Ventura in 2001 and changed professional direction to become a tattoo artist. In 2014, after several years of apprenticeship and working in other salons, she opened her own tattoo studio, White Lotus Body Arts. Price was sponsored by Jo Ellen Lee and Paula Spellman. AfterGlow was hosted by Karen Hoffberg.